We invite you to look through the various resources we feel may be of help in your search for ancestors. We don't profess to be experts, but a number of our Historical Society members have had experience in searching for our own and other's ancestors, and with the aid of our wonderful guest speaker, Linda Bull who is an expert archivist (Regional Advisory Officer of the NY State Archives, and archivist of the William Bull and Sara Wells Stone House Association), think you will have all the tooks you'll need to get started or perhaps take your research to another level. 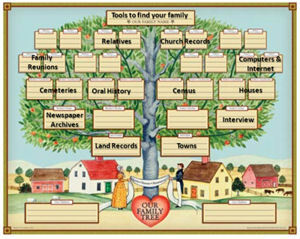 Offers a comprehensive search area as well as a free genealogy software program for recording / storing your family research, and also offers the ability to download information that may already be posted at their website. The free software is called PAF (Personal Ancestral File). There is also a companion software for charting available at a small fee (under $10). Websites sometimes have duplicate or variations of records, even incorrect records, as info is submitted by different people over time. So just keep in mind that while the Internet is a great resource, all information should be double checked. and you just might have the key to someone else's brick wall. 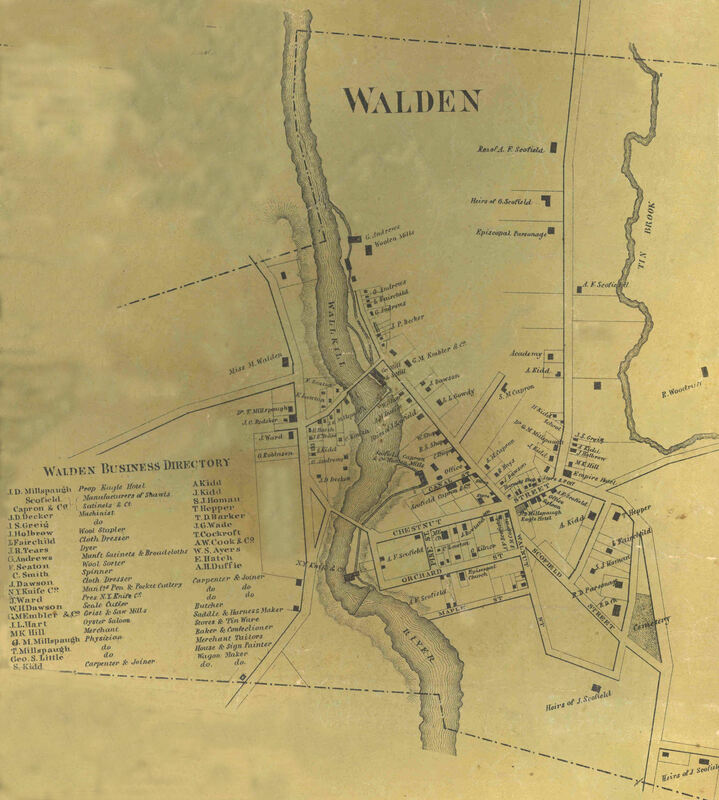 At the left are some additional local documenrts and publications that may be of help, including a few scanned records from the Walden Methodist Church, *as transcribed by Charles Bodine in the 1920s. We can't attest to their accuracy and you should seek further verification if you find something in these scanned pages of interest in your search. Transcribers of early records do their best to read various levels of penmanship, but transcription errors can happen.